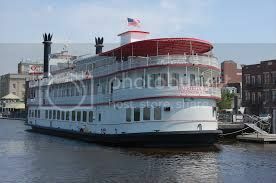 The Murder Mystery Dinner Cruise aboard the Henrietta III in Wilmington, NC, features a chance to mingle with unusual characters, watch for clues, and solve the mystery in a two-hour cruise that includes a Southern buffet. Pre-registration required. PURCHASE TICKETS ONLINE.